Sure, this place may have started as a mining town, eventually transitioning to a ski town, overrun as a hippie hang out ski town, booming into an all things outdoor recreation with a passion for the arts town, but under all of that, this place is a softball town, at least in the summer. Case in point, the Ball Bash softball tournament. This year marks the 17th annual Ball Bash coed softball tournament Saturday and Sunday, August 11-12. Twelve teams are in the tournament this year with two on the waiting list in case of no shows. 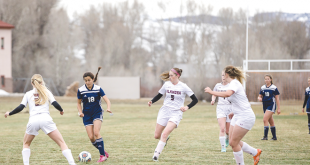 Six teams are coming from out of town including three from Montrose, one from Telluride, one from Glenwood Springs and one from Grand Junction. The other six are local teams Pitas, Dark Stars, BUTStoners, Sons of Pitches, Psycho Rocks and the defending champion Tommyhawks. Remarkably, close to all of the players on the local teams are either still in or just wrapped up their season in the local leagues, yet still want more ball. 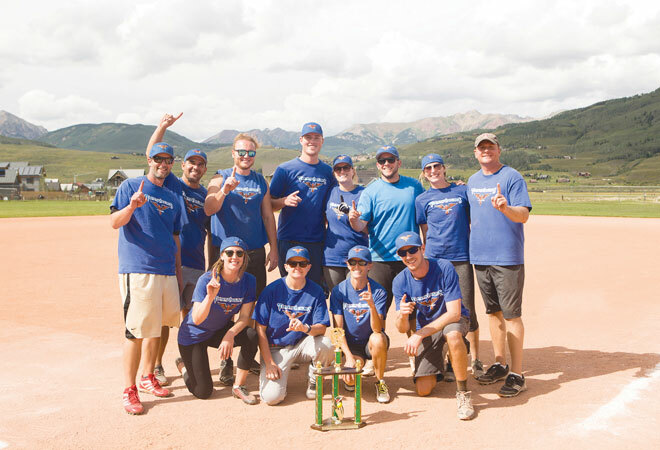 I like to think the drive to play more ball is a combination of athleticism and altruism as the annual Ball Bash is a fundraiser for the Crested Butte Parks and Recreation youth scholarship fund as well as the Tommy Ruben Villanueva Sports and Recreation Fund. Last year the tournament raised close to $4,500 that was split evenly between the two entities. 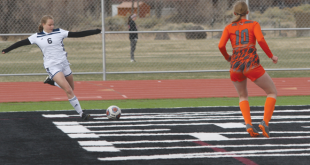 Not much is new for this year as games will be played at all three fields throughout town starting at 8:30 a.m. on Saturday, August 11 and continue until 3:45 p.m. While teams are battling it out, Camp 4 Coffee and 5Bs BBQ will be on hand at Tommy V Field for fans and players alike. All proceeds from sales will also go to both scholarship funds as well. Players will have a little time to recuperate before only the mightiest men and women then take to Tommy V Field at 5 p.m. Saturday night for the Home Run Derby. Sign up for the derby will be at Tommy V Field and is open to anyone on a tournament team roster. It’s $20 to enter and will be capped at 15 men and 15 women. I could hazard a guess at the favorites to take either title but it really comes down to nerves, more than power, and who can hazard a guess at that? The day wraps up with a party at the Talk of the Town Saturday evening starting at 7 p.m. where there will be libations, good times and a ticketed giveaway with plenty of prizes to hand out. Tickets for the ticketed giveaway will be available all day Saturday and at the Talk of the Town that evening prior to the drawing at 8 p.m. Teams return to Gothic and Tommy V Fields Sunday starting at 8:30 a.m. and will continue play until the championship game at 3 p.m. at Tommy V Field. In addition to the trophy ceremony, tournament organizers will announce the recipients of the John Wheeler Sportsmanship Award and the tournament MVP. While softball is the game, giving is the cause and, as always, remembering Tommy Villanueva. For more information, including the home run derby rules, check out the crestedbutterec.com.